33 Sounds or Presets in all. 'Drizzy Season' from YnK Audio is a super-hot collection of five Hip Hop and R&B Construction Kits inspired by Platinum recording artist Drake. 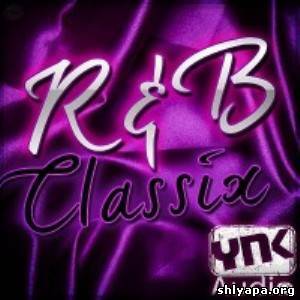 This pack is a must-have for the serious Hip Hop or R&B producer. Tempos range from 60 to 72.5 BPM and include separate drum tracks for perfect drum loop mixing. Individual drum hits, must-have keys, strings, synths, and plenty of other elements are also included. The Korg TRITON line has been taken to extremes, with the TRITON Extreme music workstation/sampler. Introduced at the 2004 NAMM Summer show, it delivers all the features that have made the TRITON popular, plus many new sounds and enhancements. Melodyne studio - Polyphonic magic. Melodyne studio is the largest member of the Melodyne family. With this most powerful version you are no longer limited to the editing of monophonic melodies, but you can also handle complex textures and even polyphonic material, such as chords or song mixes! * Furthermore, Melodyne studio is a complete audio multi-tracker with an unlimited number of tracks and a high resolution of up to 32 bit and 192 kHz. Recording artists and engineers have known about Melodyne for years. For a long time, though, it was only monophonic vocal and instrumental parts that could benefit from Melodyne’s much-admired editing algorithms: algorithms capable of everything from minor corrections of intonation to extreme pitch shifting and from the subtle modification of grooves to drastic time stretching. * Handles also polyphonic material (eg. chords and mixes). * Complete multi-track arrangements (unlimited number of tracks). * Superb resolution: up to 32 bit, 192 kHz. * Melody Manager to browse audio files. 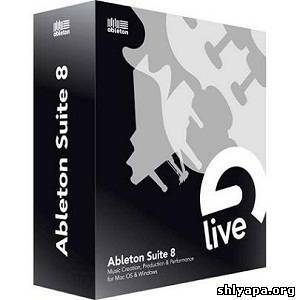 * Can import Liquid instruments and Melodyne Sound Library. * 'Correct Pitch' and 'Quantize Time' macros. * MelodyneBridge and ReWire integration. 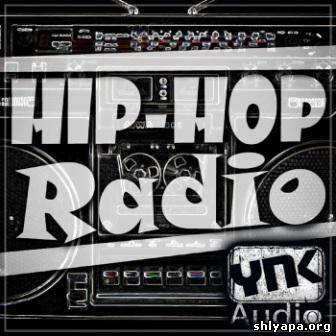 'Hip Hop Radio' from YnK Audio is a collection of seven Hip Hop Construction Kits which are inspired by some of the biggest names in the Hip Hop genre. Give your productions the edge with this fantastic, high quality product. Tempos range from 65 to 105 BPM and include all the separate drum tracks for perfect drum loop mixing. Included are individual drum hits and must-have elements to build a Hip Hop banger, pianos, Rhodes, synths, strings, FX, choirs, vox and more! This exclusive pack is loaded with heavy DnB, smoking Dubstep, fierce Techno and inspirational cinematic loops and effects. The Sampler also contains a tempting choice of 38 NI Massive patches from across our collections. So get ready to sample the gamut. We've minded the range of our underground sound to assemble an expressive set of Industrial Strength Samples and patches. This mad bundle of mayhem pulls from out newest releases and classic packs, bringing you one-stop shop access to fresh and vintage sounds alike. Let's be real: the massive domain of material here is nothing short of asounding. Once you recover from the shock, you'll find a hand-picked collection of ripping audio from BHK Rough Connections Vol. 2 plus a killer bonus pack that features a wide assortment of raw BHK Breaks, Effects and Loops for effortless mixing and matching. For good measure this Industrial Strength Sampler also showcases our award winning samples from 6Blocc's Dubstep Ammo and (here's the teaser) a handful of Talking Bass audio from 6Blocc's Hard Talking. If you're looking for banging London Techno, we gotcha covered: Dave The Drummer's Tekno Tool Box contains a solid array of driving top loops, seriously PHAT bass loops and electronic riffs. 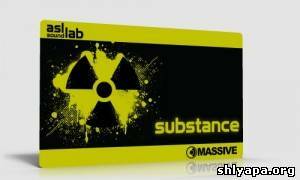 Ultimately no Industrial Strength Sampler would be complete without our patches for Native Instruments Massive. Here you can harvest the ripest NI Massive patches from across all our collections to date. We've even included a Lenny Dee Drumshots Player featuring more than two-dozen 16-bit one-shots from Drumshots Vol. 1. This handy player is Mac VST and Mac AU compatible, easy to use and needs no updates so you can skip the holdup and cut straight to the chase. 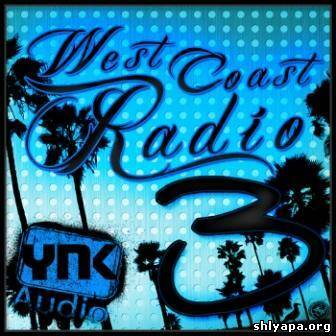 'West Coast Radio 3' from YnK Audio is a funky collection of five Construction Kits, inspired by West Coast artist such as Snoop Dog, E-40, Nate Dog, Warren G, The Game, and many more! 'West Coast Radio 3' is perfect for even the most demanding West Coast producer. Tempos range from 90 to 100 BPM and include all the separate drum tracks for perfect drum loop mixing. You'll also find individual drum hits and must-have keys, strings, synths, and plenty of other elements. •More information about the Ableton Improvement Program can be found in this forum announcement. •Receiving MIDI CCs on a MIDI track's input was causing a high CPU load on OS X Lion. •Fixed a bug in the "Beats" warp mode which could lead to unwanted clicks in rare cases. '500 Hard Trance Loops' is a selection of loops suitable for producers of Hard Trance, Hard Dance, Hard Style and Hard House music. These grooves are all licensed to you as royalty-free, so you can use them in your original productions at no extra cost. The drum samples on this compilation is not for the faint of heart, nor for the weak wristed. Joe Barresi has produced and worked as a sound engineer for a diverse group of hard-hitting rock and punk bands such as Judas Priest, Kyuss, Bad Religion, and Rancid. ArtsAcoustic CL Series is a bundle of 3 accurateley analog-modelled photoelectronic dynamic processors, nameley CL-1, CLMS-1 and CLMS-1 XL. they`re based on various analog optoelectronic diode tube compressor schematas used during the late 70`s up to the mid 80`s. BigRock is an authentic, accurately modeled emulation of the legendary Electro-Harmonix Small Stone, a phase shifting stomp box, of which its first revision was released in 1974. However, being 2010, ArtsAcoustic has of course overcome most of the limitations of the original and equipped BigRock with the necessary features in an special advanced mode. For example, BigRock allows stereo input and processes the signal in stereo, while the original Small Stone was strictly mono. Essentially, you now have the ability to edit BigRock in most of the common phaser parameters such as the dry/wet mix, the center frequency, the LFO amount and the stereo phase offset of the LFO. You can also sync the LFO frequency to the host, always in phase to the sequencer's play position. ArtsAcoustic also equipped the BigRock with a highpass/lowpass filter section, so you can balance out the signal, before it enters the phaser stage. The two resonance states on the original Small Stone are actually two different designs, it's not just more or less resonance by far. On BigRock ArtsAcoustic implemented a continuous parameter, so you can now morph between the original high color and low color mode, or adjust anything in between. Of course, as all parameters in the BigRock are automatable, this opens a tremendous amount of creative possibilities, all of which were not possible with the original Small Stone. – MAC users can simply replace the "Resources" folder found in your plug-in > Mouse click > Show Package Contents> Contents > Resources with the new one. – PC users can use the Full Installer.exe or choose "Drag and Drop". A fully comprehensive video tutorial remix course, breaking down and guiding you through the entire remix process, unlocking the secrets of producing cutting-edge remixes. Chapters 1-6 > cover the basics of getting to grips with your remix: setting up the Logic project, finding the track tempo and key, and time-stretching track stems. Chapters 7-10 > build the rhythm: lay down a basic drum patterns using the arrange window and Ultrabeat, mix and process your drums, add creative groove elements using samples and learn to create your own Apple Loops. Chapters 11-13 > rock your bassline: consider the four types of bassline (on-beat, 1/8 note, sustained and melodic), bassline patches, layering and processing, as well as how to record your own live bassline into Logic. Chapter 14 & 29 > keep your project organised: name your track and regions, colour-code the arrangement and group audio tracks in preparation for the final mix. Chapters 15-17 > get musical: learn how to build lead lines and chords for your remix, add musical accents and utilise plug-ins from EQ and distortion to compressor and bit-crusher. Chapters 18-19 > add energy and excitement into the mix: reverse reverbs, sweep FX, sidechaining, a dedicated delay track and bounce down your effects. Chapters 20-28 > the arrangement: consider radio and extended edits, create grouped tracks, tackle vocal arrangement and finishing touches and more. Chapters 30-38 > finishing the mix: understanding the loudness of your mix, processing the master bus in- and out-side the box, send FX, mixing the drums, bass, vocals and musical elements. Chapters 39-40 > automation to keep the mix dynamic: touch and latch automation, using a control surface for automation and bouncing it to audio. Chapters 41-42 > bouncing the track: printing the final passes (main pass, vocal up and down, instrumental, acapella, radio edit). NOTE: This share comes with no Instruments Library!